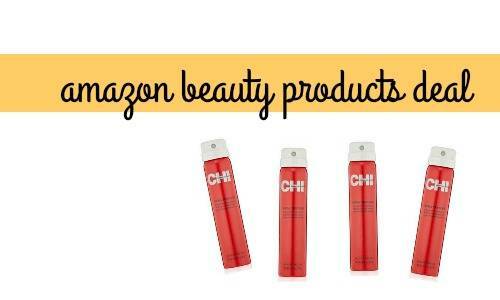 Right now there’s a great deal going on at Amazon for beauty items! Right now when you purchase $50 in select luxury or professional beauty items, you’ll receive $25 back in Amazon credit! This Amazon credit is good for future beauty products purchases. Use code LUXPRIME25 at checkout to get this deal. There are tons of items to choose from, so browse around to find your favorites. Note: You do need Amazon Prime to get this deal, but you can sign-up for a 30-day FREE trial if you don’t have an account.